"Saucer magnolia in front of Bowman Hall" by L. Michael Hill Ph.D. 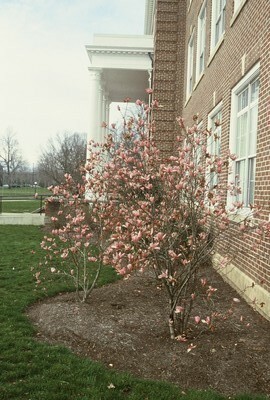 Prettier woody plants were placed in front of Bowman after its renovation in the mid 1990’s. This is a saucer magnolia, Magnolia x soulangeana (Magnolicaceae).